ductless heat pump | Clean Air Act Inc. Which Forced-Air Heater Should I Install? 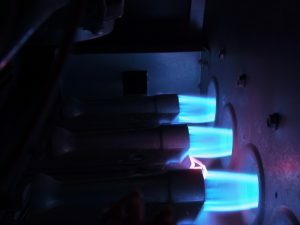 Do you know anyone in Portland, OR with a boiler? It’s not like they’re impossible to find, but they’re not all too common, either. Instead, you’ll find that forced-air heaters are much better suited to the needs of a typical Portland homeowner. They’re quite effective and don’t require a huge sum of money to install. Of course, even forced-air heaters vary amongst each other, on everything from price to function. We’ll help clear the air on the differences, so you can make a more informed installation or replacement when that time comes. Posted in Heating | Comments Off on Which Forced-Air Heater Should I Install?